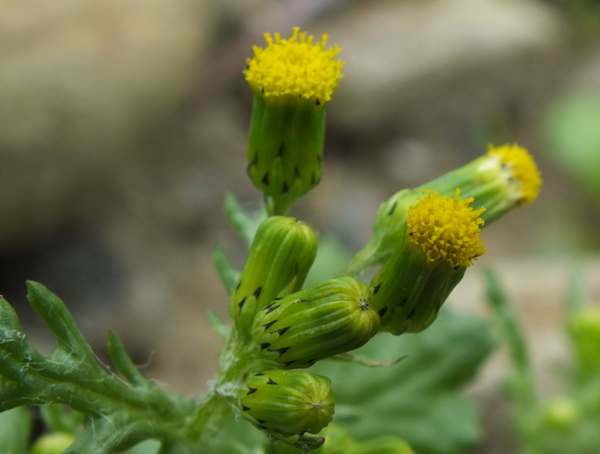 Groundsel, a relative of ragwort, is a very common weed of wasteland and gardens with dry soil. Is is an annual and propagates by means of seeds with hairy fruits rather similar to those of the dandelion but much smaller. 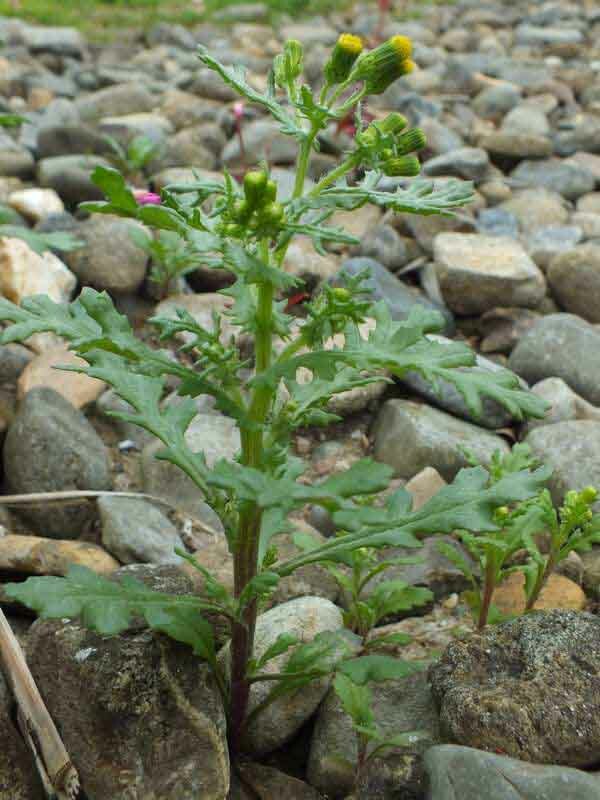 As a garden weed, Groundsel can be quite difficult to eradicate. If you look carefully you should be able to find samples in bloom from January right through to December in sheltered places.